LifeJourney participated in the 2018 STEM Teacher Enrichment Academy networking session on June 7th at the University of Sydney. Established in 2014, the STEM Teacher Enrichment Academy provides teachers with knowledge, skills, resources and support to make real change in their classroom teaching. 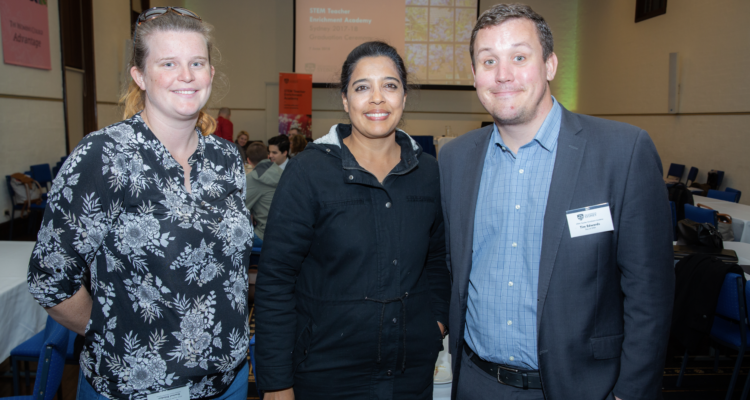 The Day of STEM programs were presented to the 2018 secondary schools cohort during the networking session as a resource for schools looking for ways to communicate STEM career opportunities for students along with CSIRO’ STEM Professionals in Schools, Microsoft, the Australian Computing Academy and others. LifeJourney will be participating in the Central Coast secondary schools session of the STEM Teacher Enrichment Academy in August 2018.